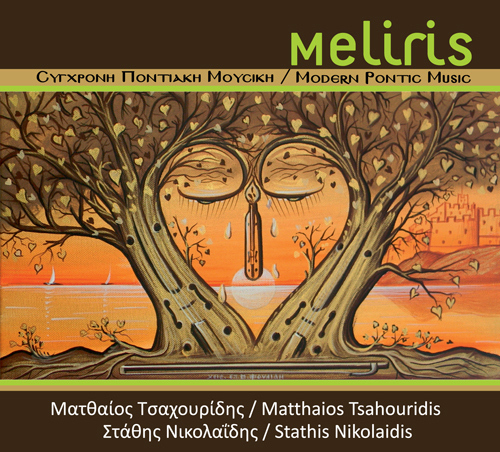 Meliris is a modern Pontic music production by Dr Matthaios Tsahouridis (producer / composer / arranger / performer). 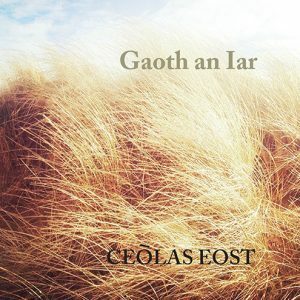 The main musical instrument featured in this CD is the Pontic lyra, the pre-eminent musical instrument of the Greeks of Pontos. This production sprang from the idea to present a new and innovative approach to the contemporary Pontic music repertoire and its musical technology. In addition to the sound of the Pontic lyra, we also employed other musical instruments, having, of course, the Pontic lyra pre-eminent. 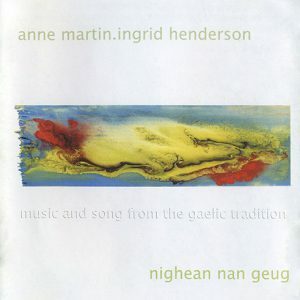 The 20p booklet that accompanies the CD contains a detailed analysis of the lyrics and texts, as well as translations from the Pontic Greek dialect into modern Greek and English language. 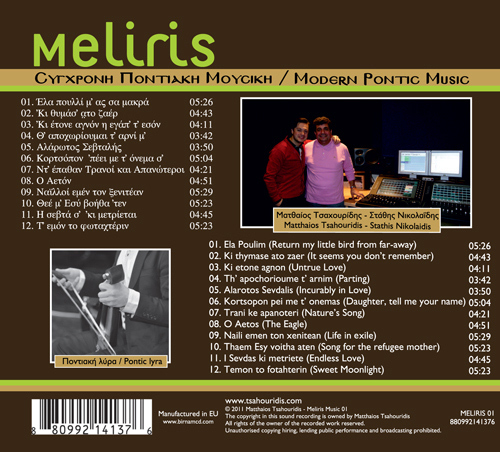 “Meliris” stands out from any other modern Pontic music production. We availed ourselves of the advanced technology and experience of contemporary western European musical productions, and applied them to our own, Pontic musical discography. In this way, “Meliris” could be a ‘model’ for any future Pontic music records. Stathis Nikolaidis, one of the greatest singers in the Greek Pontic musical tradition is the main singer in the album. Other contributors include singers Pela Nikolaidou and Konstantinos Tsahouridis, lyricists Christos Antoniadis, Vasilis Moesiadis, Nikolaos Xenitopoulos, Alexis Parcharidis and Eleni Afentouli, musicians Asaf Sirkis (percussion), Numan Elyer (darabuka, riqq) and Arnie Somogyi (double bass). 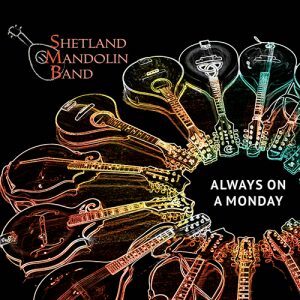 “Meliris” was recorded and mastered in London by Andrew Tulloch and pressed by Birnam CD. A bit of important historical information: Pontos is a geographical area located in the north east coast of Turkey, where Greeks lived there since antiquity and until the 1920’s. A massive exchange of populations between Greece and Turkey took place in 1923 with the Treaty of Lausanne and forced hundreds of thousands of Greeks and Ottoman Turks to leave their homelands and relocate to new places.